I think that any technology can be used for good or evil. Obviously, I would hate to see social credit develop in that direction. I was definitely one of those people who believed that the Internet would inherently democratize the spread of information. Until a few years ago, i was thrilled with the idea that anyone could publish a web page or start a blog and get a huge following if people wanted to hear what they had to say. Seeing the gatekeepers of information lose their power was a wonderful thing. As you all know, in the past decade or so, new gatekeepers emerged with a small number of companies not only having huge control over what information can and cannot be easily shared but also having a revenue model based on gathering massive amounts of information that it has become impractical to keep private. I'd hate to repeat this pattern with the democratizing of the flow of funds and hope we can correct this with the flow of information over the next decade or so. I presume that at least initially, the United States will consider them taxable as either payments or barter (in practice it doesn't matter which) unless they are non-taxable gifts. Say xRapid users start performing a lot of USD->XRP->MXN payments. There are two things that might happen: Market makers start making more money. This attracts more market makers. Liquidity improves, spreads go down. All the liquidity gets used up. There just isn't enough "bandwidth" left in the market makers and liquidity dries up. I don't think 2 is going to happen. But I won't be able to prove that until xRapid volumes ramp up and we see what happens. We've done a lot of thinking and working on how we're going to monitor market response to learn as much as possible so that we can make the best possible decisions about future corridors and mechanisms. Brad Chase, one of the stars on the C++/rippled team, moved to the data team to help them out with this. Initially I was sad to lose him from that team, but then I realized how awesome it would be to have someone on the data team who knew everyone on the C++/rippled team and knows how the XRP Ledger works in great detail. I think my previous title was much cooler, but CTO is more impressive. Ripple is going to retire the title of "Chief Cryptographer" like a jersey number. xRapid includes a feature that sets a one-minute time limit for an exchange to fill an order to minimize the impact of price volatility. During the demo, filling the order took longer than a minute, which triggered xRapid to cancel the order and thus the payment. Across all xRapid test and pilot payments ever, this is the first instance of this occurring. The demo UI was not sophisticated enough to handle this case, designed just to get a quote, display it, and initiate the payment. So the team repeated the payment, requesting another quote and executing it against a backup xRapid server configured to mock the behavior of the exchanges. The repeated payment was a live demo of how an xRapid payment works but did not involve a live transfer over the XRP Ledger. We apologize for not making this clear during our demonstration. We recorded a live xRapid transaction at 11:28 am PST. The payment took place in just under 2 minutes and a typical remittance customer would have seen 52% cost-savings from it. You can track the payment over the ledger on XRP Charts. The transaction ID is 29E4F8E81B3E5F5E5A9A5766D1C56992E6D4F18ED62DFBEC3FBCE14189FEE871. [Proposal] Exclude issued value from payment volume? My work as a developer for rippled has lately been a lot less actual coding and more meeting with the fine folks who are doing the coding. I have done a few experimental bits and handed off the promising ones to others. Once the release or cancel condition of an escrow has been met, anyone can release or cancel it. While it's not strictly required that anyone be able to do, it is important that not just the owner can do it. The point of an escrow is to take some control over the funds away from the owner. We designed it so that anyone could do so that a third party could do it if there was, for example, an escrow agent or a monitoring system. We don't always finish our own escrows right when they release. Of course, who cancels or finishes the escrow has no control over where the funds go, the set up of the escrow controls that. This also allows good samaritans to clean up expired or finished junk. Tell me how to find the secret key. Do you remember what service you used to create your wallet? Bug? has been cancelled due to lack of funds. But there funds. No problem. If you want to narrow it down to one or two that you'd like me to look at closely, I'd be happy to do it. Yes, that's exactly it. Programmatic sales are made by market making on open markets. 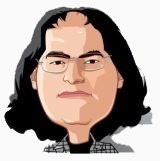 They don't include a lockup and Ripple has almost no control over who gets the XRP. They effectively become part of the open market. Institutional sales are made directly to investors. They might include a lockup or other kinds of deals and Ripple gets to pick and choose who they do business with. One good thing I think these numbers clearly prove is that Ripple doesn't have to sell XRP at a discount to FIs or make mass sales to institutions with no lockup to raise revenue. Sales on the open market are the majority of the volume. That means that Ripple can afford to be picky in who it makes institutional sales to and thus it's reasonable to infer that Ripple likely thinks those have strategic value. Ripple does not need to sell XRP at a discount to raise revenue, the open market clearly suffices. And Ripple is not selling large amounts of XRP at a discount to undermine the market. On the downside, if you think that Ripple is a brilliant strategist making amazing backroom deals that will incentivize the entire financial industry to use XRP, seeing that such backroom deals are a fairly small percentage of total XRP released might be thought of as a negative. Alternatively, it means we're confident we'll succeed without such deals or that such deals don't involve large amounts of XRP. The point is -- you have the data. Some of them fail for fairly obvious reasons. For example, F84CDAB9C9B846AC3F2B5158C5BC683CD0A7AA9AFC296C21CAC263A684CF59A6 tried to offer USD issued by rhub8VRN55s94qWKDv6jmDy1pUykJzF3wq, but you only held USD issued by rvYAfWj5gh67oV6fW32ZzP3Aw4Eubs59B. You must be able to transfer at least some of the asset you are trying to give to whoever takes your offer or the offer will not be placed. Ripple is not targeting XRP at "retail" use. There are a variety of reasons for this, including the regulatory challenge, but it's also because we (at least some of us) don't think any cryptocurrencies are quite ready for mass adoption through this route yet. (Just as you probably couldn't have launched anything remotely resembling Twitter or Facebook in 1988.) We did pursue a gateway strategy for several years. We had a very hard time onboarding gateways, and an unreliable gateway is probably worse than no gateway. Gateways faced challenges with regulatory compliance, customer service, and finding a good revenue model. Part of the problem is interest rates being at a very low level, making it not particularly profitable to hold other people's money. The security problems with interacting with cryptos didn't help either. So we pivoted to a strategy where we're promoting the XRP Ledger primarily as the ultimate store of XRP rather than as a decentralized exchange. We plan to expand and enhance our product line's XRP integration to provide XRP liquidity and take advantage of XRP liquidity wherever it may be. xRapid is our first big push to connect payments to XRP settlement. There are probably a lot of factors at play. One of them is that there are a lot of transactions that seem, at least to me, to be basically junk. With transaction fees so low, there's no real disincentive to submit lots of junk transactions, and people do. The legitimate volume is somewhat lost in that junk. To get more useful numbers, you can limit yourself to just Payment transactions or OfferCreate transactions that crossed other offers. And then you can filter out Payment transactions that just seem to be moving assets for no particular reason (we used to see a lot of those, but not so much anymore). Our XRP Charts site and XRP site has metrics like that, and they're probably more useful than raw transaction volume. And, to be clear, this is what xRapid does today. There are lots of obvious, and not so obvious, other ways you can do this. And different ways of using XRP liquidity to settle payments is high on our priority list. This is the first working scheme. So the blockchain just improves security. And it's faster and cheaper because ....? Off-ledger trading is the majority of trading today. I think the largest on-ledger XRP market is XRP to USD/Bitstamp and it's the 41th largest XRP market. This kind of question comes from the thinking that blockchains are magic and that if you just add them to things they get better. I think there are a lot of banks and related organizations madly trying to figure out where they're suppose to stick the blockchain to make things better. Nope. As you buy up more and more XRP, the price goes up. So you have to spend more and more money to do it, making everyone else who holds XRP richer and richer. It just isn't a realistic attack. I agree with you. Unfortunately, I don't know the exact details of how the transactions are timed or how the spreads are computed. The third party market makers we've employed understand that we don't want to kill rallies or engineer the price and that our desire is to choose sale targets and approximately reach them having as little effect on the price as possible. To prevent me from gaming the system either for personal benefit or to benefit Ripple, or inadvertently giving others the ability to do so, I am not given access to any details. Every suggestion I've made to them got back "we're already doing that", so I think they know what they're doing. They might adjust it to a long term median. They might back off when volume is above normal. Those things I don't know.